Learning algorithms allow you to train an algorithm to your need by showing it examples of what you want it to do. For example if you want to find certain objects, you mark some of them on training images, and the algorithm learns to find them in new images. Working with learning algorithms therefore involves three steps which we explain below. Wolution has an integrated label editor to make the generation of training examples by hand as fast and convenient as possible. You can often get good training results already with a few hand labeled images. After you finish labeling your training data set, you can start the automatic training process. Training will take one hour to several hours, using our deep learning technology. After the training is finished you can use the new algorithm. Images can now be analyzed within seconds. You can then download the labelled image and useful statistical information about the objects and segmentation. Segmentation. In segmentation each pixel is assigned a class. Object detection. In object detection, all objects in a given class are masked with a bounding box. Instance segmentation. Instance segmentation is a hybrid of segmentation and object detection. 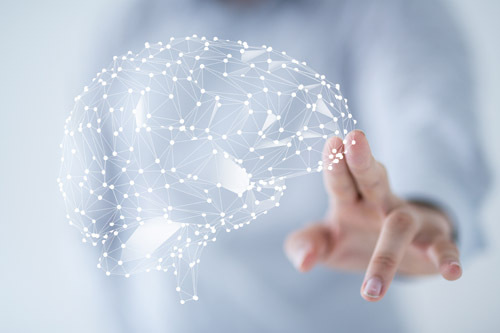 We provide some of the most powerful deep learning algorithms developed until today, which have won many contests and demonstrated the highest quality. Deeplab with the ResNET101 network. Mask R-CNN with with Google's Inception network. We provide a comprehesive list of available statistics, like color, intensity, orientation, position etc. of the objects and areas. You can chose as many as you need of these to customize your results. 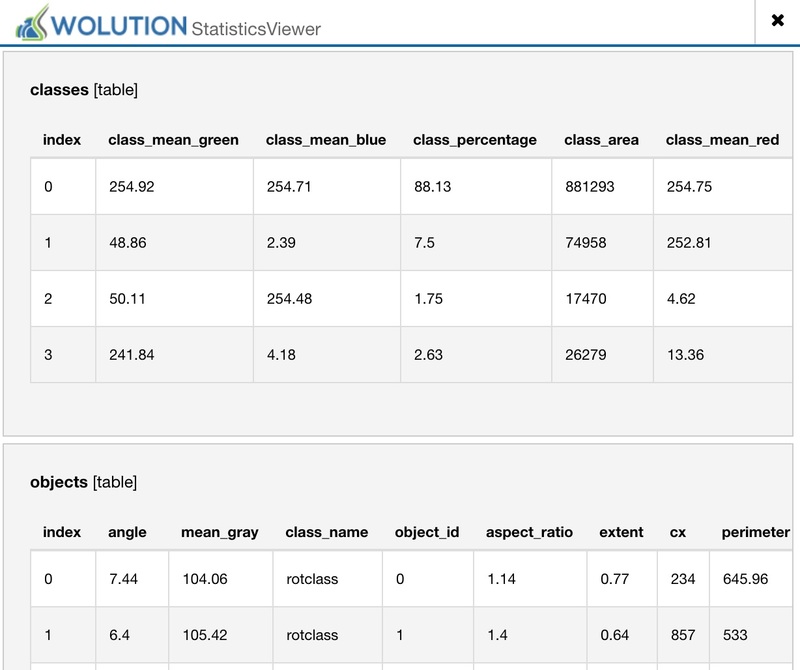 Statistics can be viewed in the statistics browser, for the entire image, segmentation classes and single objects. All statistics can also be downloaded in convenient CSV and PDF files, which summarize the results of all images in your analysis and also give per image and per object results.